The worldwide rise of sovereign wealth funds is emblematic of the ongoing transformation of nation-state economic prospects. 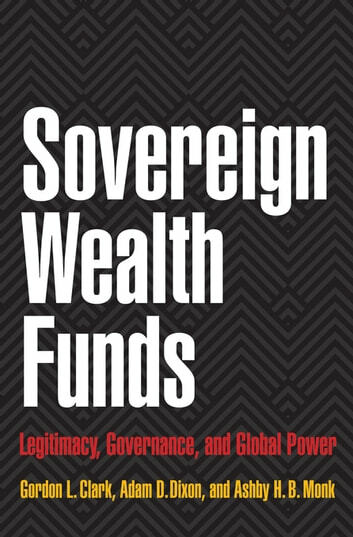 Sovereign Wealth Funds maps the global footprints of these financial institutions, examining their governance and investment management, and issues of domestic and international legitimacy. Through a variety of case studies--from the China Investment Corporation to the funds of several Gulf states--the authors show that the forces propelling the adoption and development of sovereign wealth funds vary by country. The authors also show that many of these investment institutions have identifiable commonalities of form and function that match the core institutions of Western financial markets. The authors suggest that the international legitimacy of sovereign wealth funds is based on the degree to which their design and governance match Western expectations about investment management. Undercutting commonplace assumptions about the emerging world of the twenty-first century, the authors demonstrate that even small countries with large and globally oriented sovereign wealth funds are likely to play a significant role in international relations. Sovereign Wealth Funds considers how such financial organizations have altered not only the face of finance, but also the international geopolitical landscape.